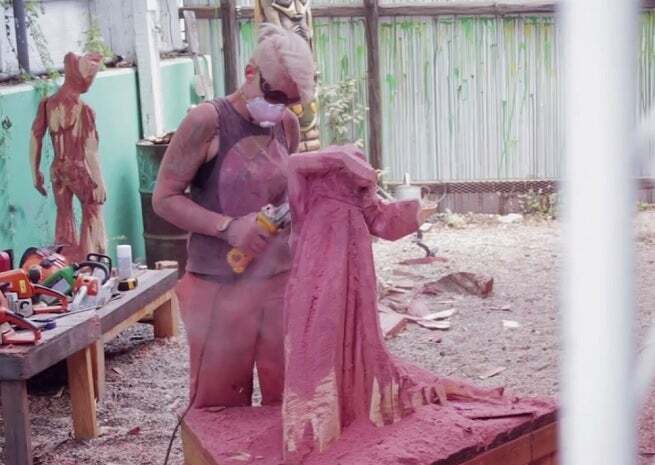 Griffon Ramsey, the sculptor who went viral last month with an impressive sculpture of Groot from Guardians of the Galaxy, has a new video -- this time, showing the process of making a sculpture of Frozen's Elsa for her daughter. Besides showing the process, from selection of the wood to painting, Ramsey also talks about her desire to provide strong female role models to her young daughter, and that the evolution of children's programming has helped make that a bit easier with characters like Elsa who are defined more by their capabilities than their appearance. You can check it out below, along with some commentary from Ramsey. Thanks to Wampler Saw Mill in Bastrop, Texas for letting us film at their location (and for doing some heavy lifting)!